How do I contact the market managers? Where can I see a calendar of events for RCM? What do I do if there is inclement weather and I can't pick-up my order? There are no annual membership fees. However, to help us provide farm tours, educational programs, and to help us with our overhead costs, we add an 10% surcharge onto each order. 3% of this fee goes directly to pay for the use of the locallygrown.net software program, with the remainder going to cover marketing, advertising, and management of the market. You can think of this charge as a tax on your market purchases that you will directly benefit from. 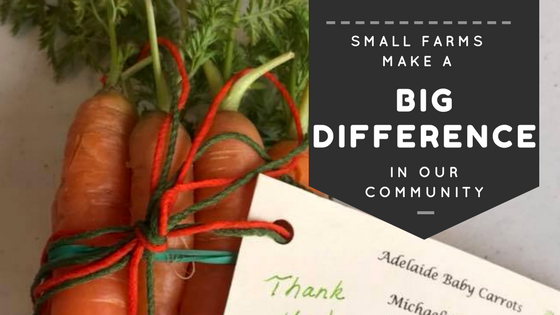 Unlike some co-ops, buying clubs, or CSAs where everyone gets the same box of stuff (and you don’t know what you’re getting until you get it), with Locally Grown you get to order what you want, in the quantities that you want, from the farms that you want. The weekly updated market lists the produce, meats, milled products, fresh flowers, and artisan goods available that week, and you can browse the items on this website before you place your order. Each Friday at noon, the market will open for ordering and will include listings of available products being offered by our various growers. Customers must place their order for the week no later than Sunday at 10:00 p.m. Orders can be placed here on our website. We accept cash, checks, and credit/debit cards through our Square reader, when you pick up your order. Because we may have to adjust your total then (to account for unnanounced items you decide to purchase or items that were unexpectedly unavailable), we do not accept advance payment on the website. Tuesdays from 4pm-6:30pm, customers can pick-up their orders at the Downtown Russellville Train Depot – 320 West C Street. Please use the meeting room door that is just east of the main entrance. If you’ve already created a customer account here, simply go to Our Growers and click on the ‘tell us about yourself’ link. This will add you to our system and our market managers will contact you with the next step. We only charge 10% of sales instead of a flat, yearly fee in addition to a surcharge. We feel that since the grower invests the time, money and labor into the products, they should get to keep most of their profits. Like at a traditional farmers’ market, you get to set your own prices and list your items as you wish. Contact RussellvilleCommunityMarket@gmail.com if you want more information. You may contact the market managers by emailing us at RussellvilleCommunityMarket@gmail.com. While this is Arkansas, and we don’t have severe weather all too often, it can, and has, happened. If you cannot pick up your order because of inclement weather, it’s as simple as emailing us at russellvillecommunitymarket@gmail.com. Generally, if we can hold your items, we certainly will, until a time may be arranged for pick-up. Every effort will be made to keep your items fresh (or frozen if needed) until you can pick them up.